Animal hands are a indie- rock trio that was formed by Danielle Whalebone in 2011. The band celebrated the release of their debut EP at the Cherry situated on AC/DC lane in Melbourne this year. 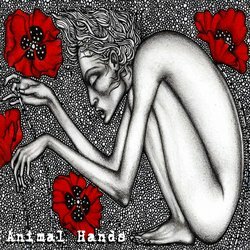 Animal Hands have received a resplendent response to their EP that was produced by Lindsay Gravina at Birdland Studios. Allie Speers writer for Tone Deaf (AU) described "The self-titled EP of Melbourne based Animal Hands as pleasing to the ear. The garagey, grunge sounds in juxtaposition to frontwoman Danielle Whalebone’s crooning vocals is a great combination. ‘Defiance’, the inaugural track has a great introduction, just a simple guitar riff that leads into a really neat track. It’s a clever start to the EP, you can really feel what the band are trying to achieve." The track Defiance has been described by writer Mike T. Mason (US) opening "with a solid, subtle guitar that draws the listener into the track; its general energetic and melodic tone gives it a clearer Stone Roses vibe which is greatly enhanced by Danielle Whalebone’s catchy vocals."